The consultation also highlights some existing improvement plans to be delivered that the Revolt has been pushing for: more flexible season ticket options (including Oyster-style smart cards); on train wi-fi (due to be fitted across the network by end of 2018, although we’d like to see this done faster); compensation for delays of 15mins rather than the current 30mins – on a journey from Blackheath of 20-25mins, being 30mins late only occurred when things went very wrong, whereas 15mins delays are more regular occurrences. But also a very concerning suggestion (Q17 below) that trains from Blackheath could be limited to just running to Cannon St. The consultation sets out the challenges and asks a range of questions. The Revolt has some thoughts. If you agree or disagree, don’t use up all your enthusiasm or ire on the comments here but respond to the consultation! Q2) Introducing longer trains – although it requires the infrastructure to be in place across the network, platforms have already been extended at Blackheath and a default of 12 car trains at peak time (up from the current eight or ten) would be most welcome. Q3) Better designed trains to handle capacity – a contentious point based on some of the comments on the Twittersphere. The Radicals would love seating for all but this is unrealistic. Anyone getting on at Blackheath should realise that even with 12 car trains there will not be seating utopia. For those of us who do regularly stand, the yellow door trains (the Electrostar – not donning the anorak, the consultation describes the train types) are much better than the trains with the small vestibule (the Networker) for capacity. Many will take umbrage at the suggestion that more standing areas are the solution but the Revolt prefers to be pragmatic and realistic – and no, this does not mean support for all standing trains, sitting on the roof etc. The existing yellow door trains seem to have the right balance. Q5&6) Improving customer service – The Revolt has written about this before… A Treatise on Customer Service ; Service? No, we’re Southeastern et al. In short, less automated crap, more relevant info provided quickly, more info on the train (hit and miss as to whether the driver is feeling chatty at present), more visible station staff (Blackheath is nominally a staffed station). As already noted, reducing the delay-repay to 15mins and making it easier to claim is a good thing. Data should be available to South Eastern on actual timings of services and this should be quickly and pro-actively publicised – passengers shouldn’t have to work out if their train was 14 or 16mins late. Q7&8) Fares and ticketing – more flexible season tickets to take account of how people work and travel (e.g. working from home, not using the service regularly on a weekend etc.). Q9&10) Access and improvements to stations – the not-so recent update to Blackheath makes it pretty accessible but more cycle racks would be welcome. Q14&15) New services – Support additional trains in the evening and weekends. Blackheath doesn’t do too badly on this but as an example on paper there are four an hour to Charing Cross on Saturday but they come in pairs about 7mins apart leaving gaps of 23mins between services. 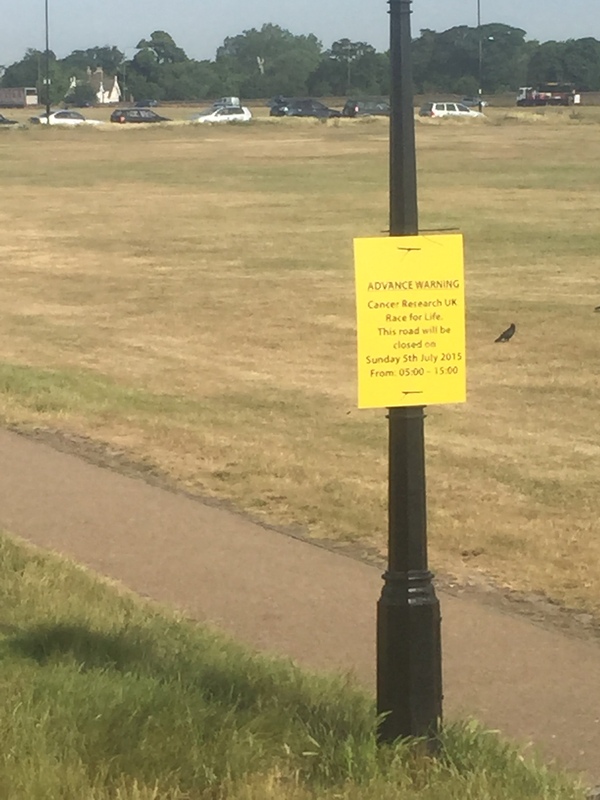 Q16) Effective timetabling – Blackheath is a bit beholden to services coming in but as noted above, sometimes services can end up clumped together. So options for having trains at ‘clockface’ intervals would be good. Q17) Single Terminal option – Certainly not as the example suggested of all Metro services on our lines only going to Cannon St. This would represent a marked reduction in service and increase costs for many who do the point-to-point tickets to Charing Cross and Victoria. A Zone 3 travel card is £500 more than a Blackheath to London terminals ticket. This would also increase journey times for all those that don’t currently use Cannon St. In addition this would have a knock-on effect on the Underground with additional large numbers of passengers accessing the Tube at London Bridge and Cannon St. Over-crowding is already an issue at London Bridge at peak times and this would make it a regular occurrence there and for the Circle/District line connection at Cannon St. Revolt experience is that routes to Charing Cross, Cannon St, and Victoria are almost equally popular. And the suspicion is that a single terminal option would lead to fewer trains and less capacity as one station has fewer platforms than three. So, No. It would not benefit the occasional and weekend passengers as arguably Cannon St is the least of the ‘destination’ stations for theatre-goers, shoppers, cultural activities, etc. Q18&19) Better partnership between operator and Network Rail – Revolt recognises that the franchise runs on a network that struggles (historic lack of investment, running at capacity). Closer working and greater incentives to deliver a reliable service for both the operator and infrastructure would be welcomed. So, what do people think of this proposal? You may not be surprised to hear that the Revolt is fairly relaxed. Let’s see what Lewisham Council thinks. 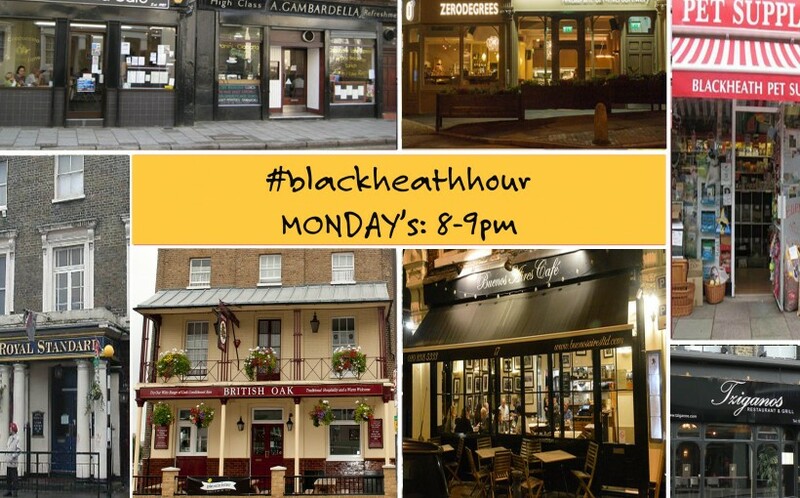 This past Monday saw the first ever #blackheathhour and what a thoroughly fun hour (or so) it was. This is just the sort of thing that the Revolt supports and would like to see more of in and for the area. It shows the area and its residents and businesses are dynamic, vibrant, enterprising and, most of all, ruddy hilarious (we particularly enjoyed the tweets of Mummy’s Gin Fund (@GinFund)). And informative. For example, we found out that the newly refurbished Blackheath Royal Standard (@RoyalStandardBH) has its pub quiz on a Monday – and putting aside the potential clash with #blackheathhour (oops, #awkward) the Revolt will be down there soon to check it out. And that locally based @BedNBreakfasttt takes orders via Twitter – something else to check out, perhaps after the pub quiz. If you didn’t take part last time, and also if you did, check out the next one: MONDAY, 8pm to 9pm. And behind #blackheathhour there is a whole lot more locally based enterprise and innovation, specifically We Are SE3. Local PR expert and all round good egg, Andrea Britton is driving this forward, building on all her excellent previous work on We Are Blackheath. Check out the website at: www.se3.co.uk and make use of its forums, listings and events facilities. A quick heads-up for all in and around the village that this year’s Race for Life in Blackheath is happening soon – Sunday 5th July. The 10k race starts at 09.30 and the 5k at 11.30. It all starts on the heath, off Price Charles Road. The Race is organised by Cancer Research UK and is one of a number of events they organise across the country. Find out more here. A very good cause and, without doubt, a good use of our heath. The Revolt has some history with the Race. In the past we’ve provided a dog-watching service while friends participate in the run. In practice this means covering almost as much ground as said participants as their ruddy dogs refuse to sit still. But with or without restless hounds, the Race is a nice opportunity to watch a lot of people wearing pink and running around our heath, ideally from the comfort of the Princess of Wales or the Hare and Billet. It’s quite a bit less hectic than the London Marathon (good thing though that is) and must be great for local trade. Talking of pink, if you go keep an eye out for people in natty pink gloves, many of whom will be exchanging high-5s and then posting snaps – all in the name of charity. The Revolt will be there on 5th July with some live tweets from the thick of the action (well, from a dignified distance with refreshing beverage). Check out more details of the event.